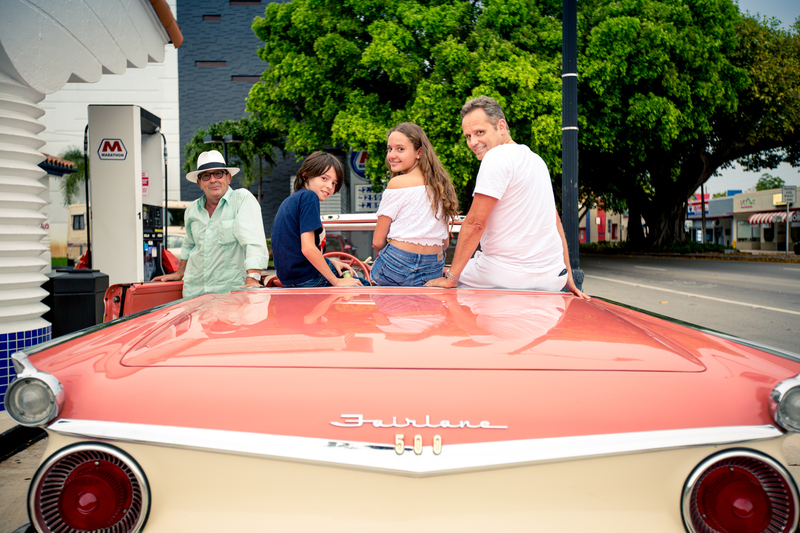 You will start this Grand Tour of Miami in a classic convertible car by fully touring Miami Beach, before heading to Design District and Wynwood. 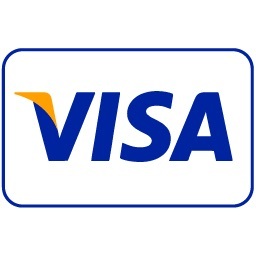 You will tour Downtown Miami, sightsee through Brickell, business center of the city, continuing to Coconut Grove, the oldest and prettiest area of Miami, with Villa Viscaya as a highlight. 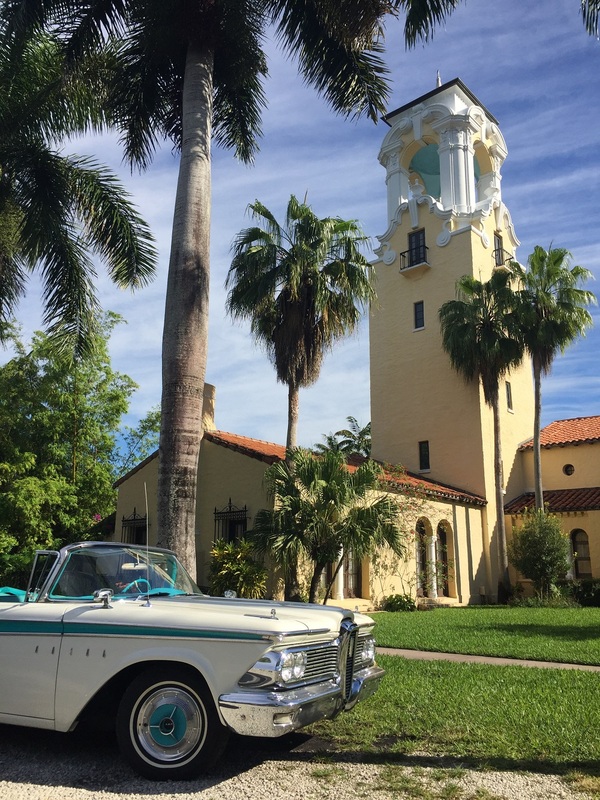 Next, the classic convertible car tours through Coral Gables, known as the “City Beautiful”, with lush green Avenues and canals. Its Mediterranean Revival architectural style from the 20’s is spectacular. 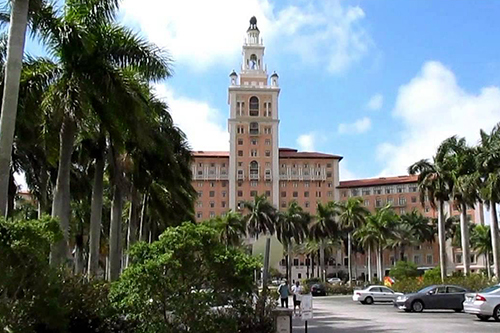 The tour will make a quick stop at the Biltmore hotel, built in 1926, and the incredible Venetian Pool, built in 1923 from a coral rock quarry. 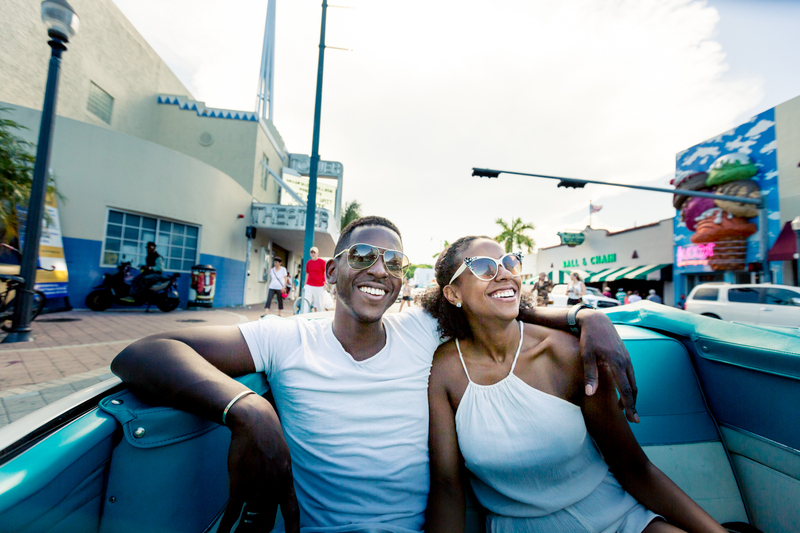 “Feel like having Una Collada?” So let's tour Calle Ocho to Little Havana and take a slice of Cuban culture, taking a rest to watch the elderly Cubans playing dominoes or to try Un Cafecito. 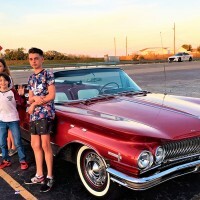 We then finalize the classic convertible car tour by returning to Miami Beach going throughout the beautiful islands of Biscayne Bay. 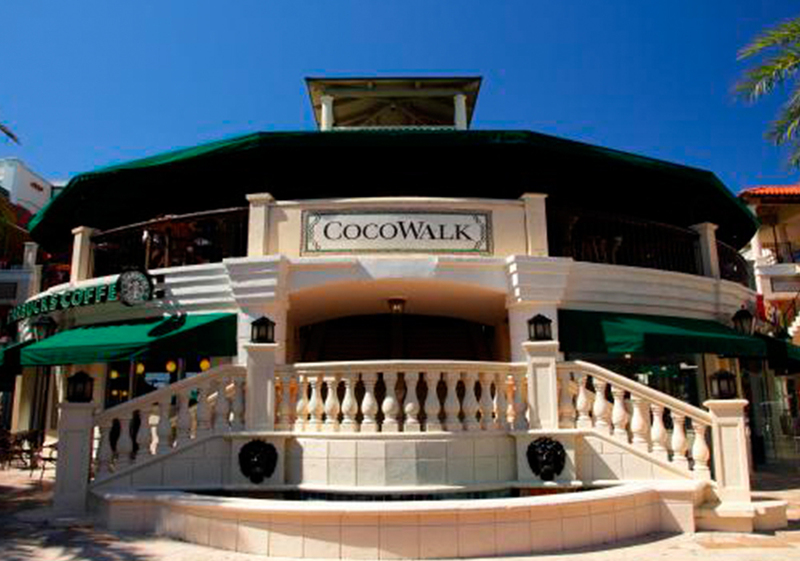 Take advantage of our long-n-sunny South Florida Summer tour hours! 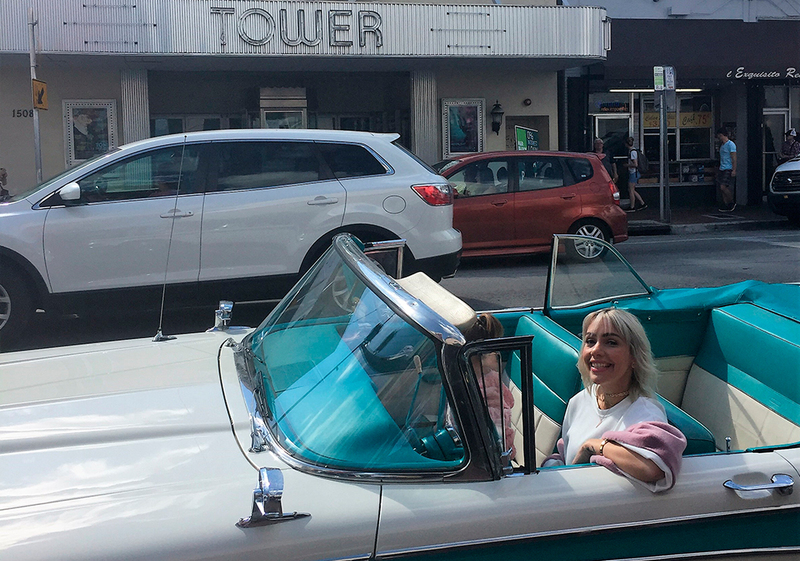 Soak in Some Culture of City with this Classic Convertible Car Tour of Miami! ​Car Tour Duration: 4:00 Hours. 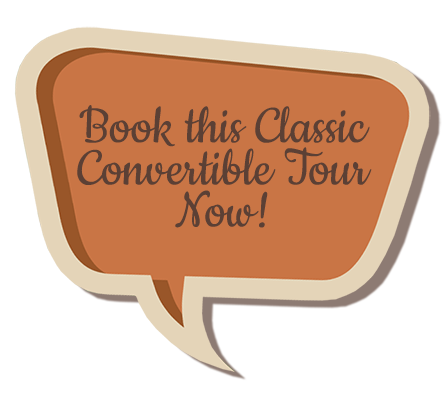 The best convertible car tour deal to discover all the facets of The Magic City in antique convertible! 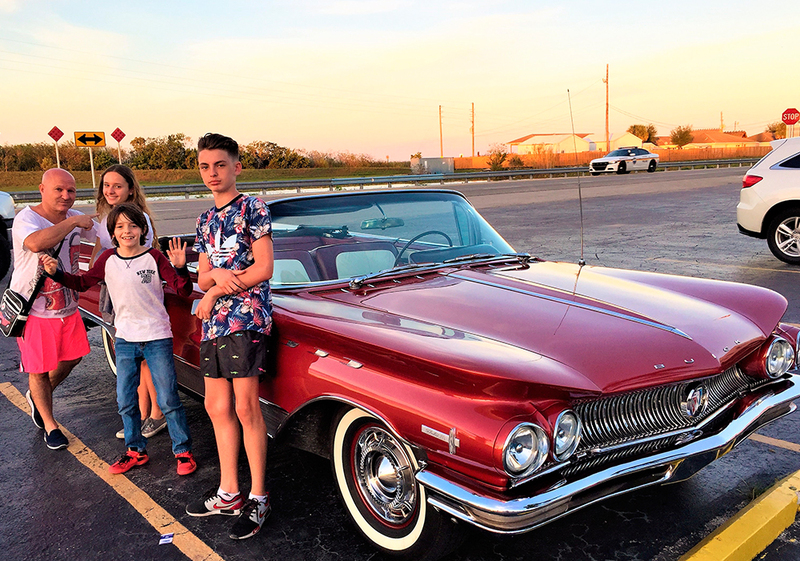 Our Grand City Tour takes you to the best scenic spots to sight-see & learn, touring in classic convertible car. 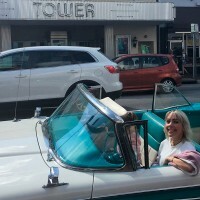 Scenic Map of Half Day Classic Car Tour fully touring Miami and Miami Beach in Antique Convertible Cars! 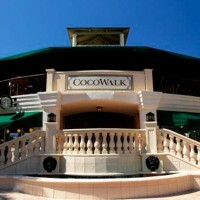 goes down to $94 per person!